The weather is getting colder but luckily there's this warming cocktail. Ingredients like Bourbon and apple brandy give this drink its spiced, fruity charm. “It’s time to put the ‘guns’ away, hence the name,” he says. 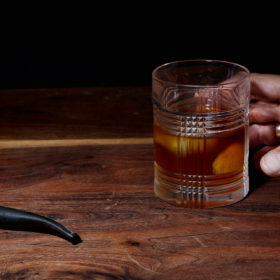 The drink starts with equal measures whiskey and apple brandy, though in a pinch, you can double up on either. Smaller measures of Bénédictine liqueur and raisiny Pedro Ximénez Sherry pile on layers of honey, clove, dried fruit and spice. 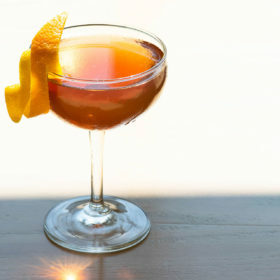 “The spirit-driven nature of the cocktail is meant to warm your body,” says Lee, just what’s needed until the sun shines again. In mixing glass, stir together all ingredients with ice. Strain into rocks glass over fresh ice. Garnish with lemon.